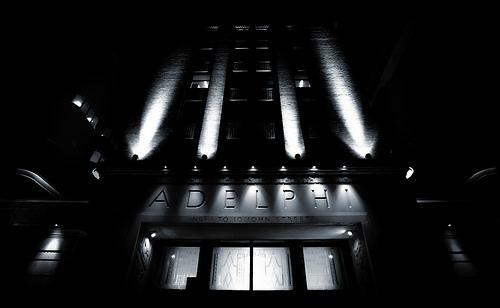 The Adelphi Theatre is a part of the West End, known for its reception of comedy and musical productions. The Adelphi Theatre is a part of the West End, known for its reception of comedy and musical productions. The elegant Art Deco building has showcased classics such as Lerner and Loewe's My Fair Lady, Andrew Lloyd Webber's Sunset Boulevard and Evita, and Kander and Ebb’s Chicago.